See list of Hotel Sogo participating branches here. 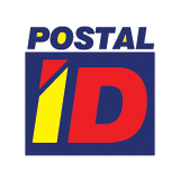 *The Improved Postal ID privileges cannot be combined with other existing promotions, offers or coupons of the merchant partner, unless otherwise stated in their mechanics. ​*Promos, discounts, freebies subject to change without prior notice. SA BAGONG POSTAL ID, IKAW NA ANG KILALA!